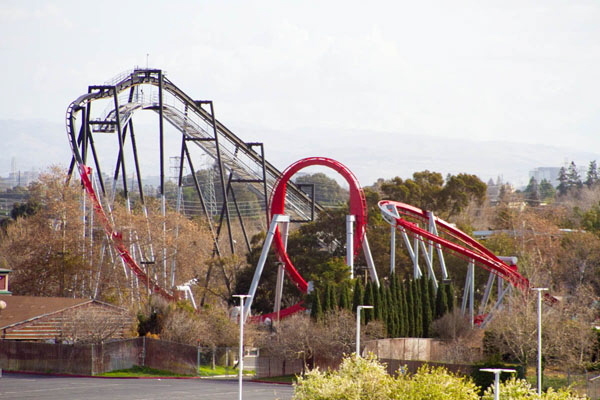 Some news today from California's Great America Park- It seems they've banished the ghost of "all black track" finally. Screamscape has reported that the park is re-painting their "Flight Deck" attraction to a lovely shade or red and white, breathing some new colors into the once colorless ride. Fans are starting to wonder if perhaps this re-painting will also come with a new name and possibly even a new theme? So far, no real answers yet.